When Yuugo Hachiken enrolled at Ezonoo, an agricultural high school, he had no idea what he was getting himself into. 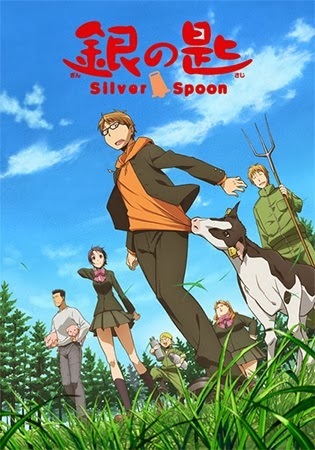 While his classmates revel in the barnyard chores and hard labor, eager to gain skills for their careers, Yuugo is challenged and sometimes downright horrified by the things he’s having to learn, whether he’s corralling stray cows, learning the shocking truth of where chicken eggs come from, or even getting comfortable with riding a horse! Alongside peers such as the lovely Aki, Yuugo will learn all he can about agriculture, making close friends in the process.